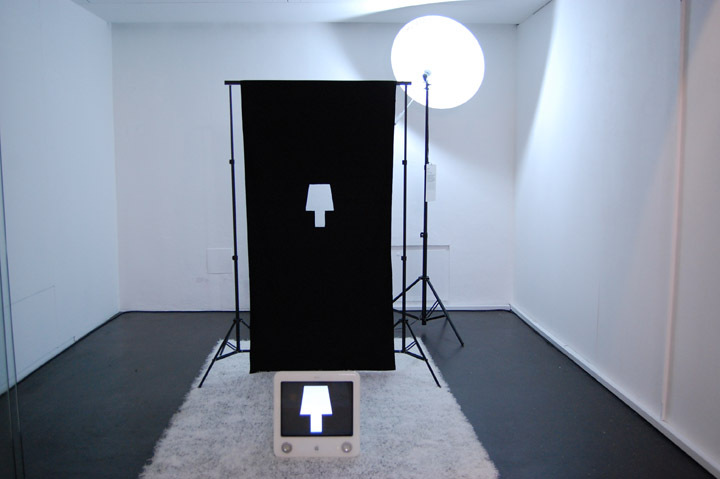 A module – lamp pictogram accompanying the design, appears in various situations, emphasizing the places where the light, though present, is not encased within the frames of the object used to lighten a given area. THE POOR LIGHT collection also includes objects of other shapes. The common feature of all pieces belonging to the collection is the deceitful manner in which the illumination of a given space is treated. The design is open and continually supplemented with new elements. The curtain with a silhouette of a lamp cut off makes it possible to appreciate the daylight which appears after the zip is unfastened. 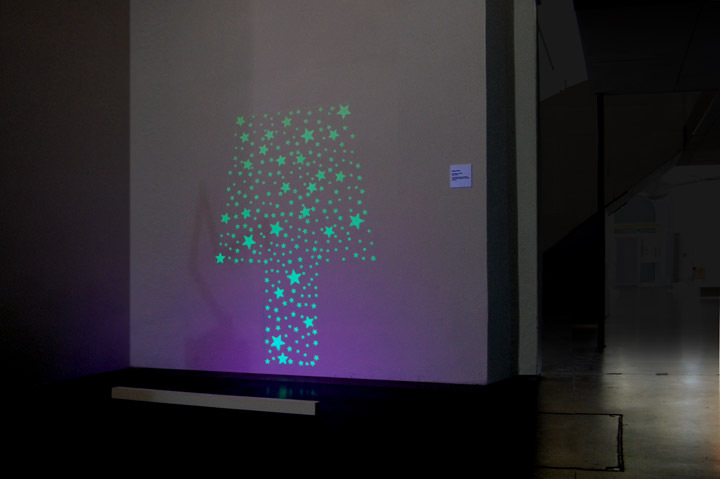 The stars in the kid’s room arranged in the shape of a night lamp make you fall asleep as quickly as their light fades. 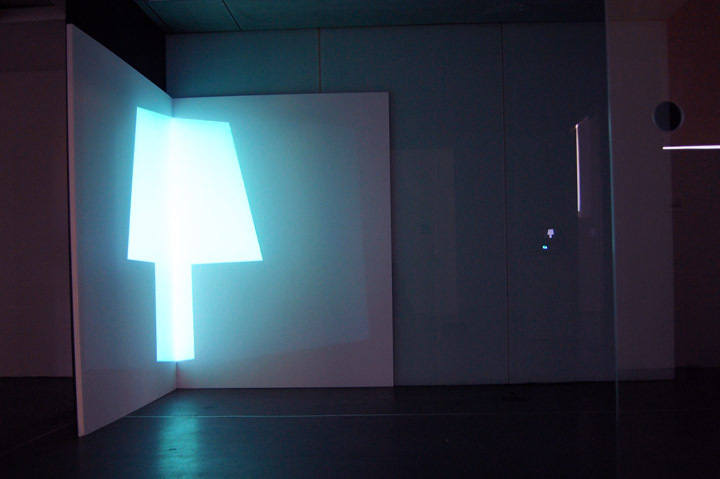 A design similar to “Screensaver”, however this time the lamp is available via the net. It requires only a mouse click to enter a website to enjoy the romantic light. 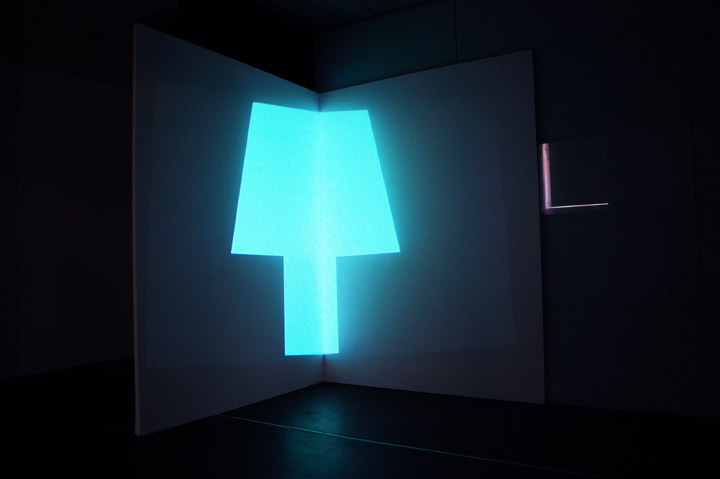 An installation disc which can be used to install the screensaver on your computer in order to admire delicate and romantic light emitted by the screen.